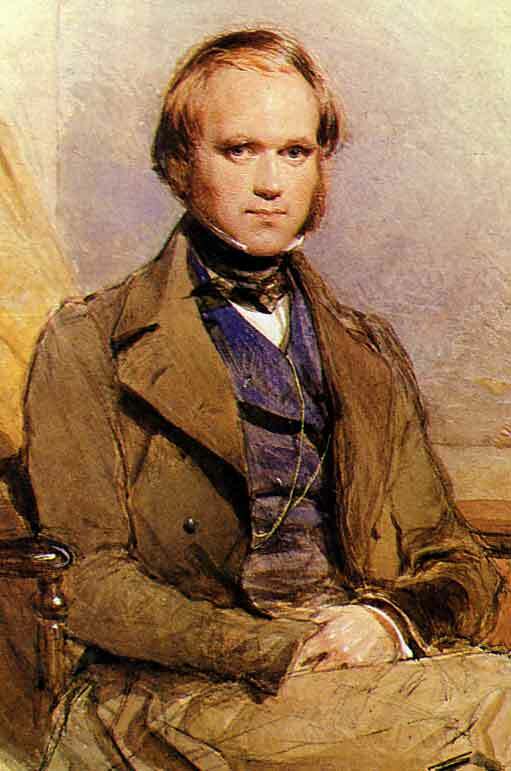 November 24 will mark the 150th anniversary of Charles Darwin’s book On the Origin of Species, one of the most influential books on biology ever written, and arguably the most controversial. One hundred and fifty years after Darwin made popular the idea that the diversity of life on planet Earth today descended (or ascended?) from lower life forms over millions of years, the general theory of evolution is still not accepted by vast numbers of people, to the chagrin of large numbers of evolutionary biologists. Did all of life really descend from one-celled organisms that developed in primordial waters billions of years ago? Is that really what happened? If so, we should see plenty of evidence of it all around us, and there are significant numbers of scientists who argue that we indeed find just that. They argue that there are a sufficient number of transitional forms in the fossil record to support Darwin’s theory. They argue that natural selection, acting to preserve small beneficial mutations and weed out the bad ones, can indeed slowly but surely bring about the development of sophisticated structures like eyes and circulatory systems. These scientists may disagree over specifics, but in general buy the evolutionary model of origins. While still in the minority of vocal opponents of Darwinian evolution, a growing list of degreed scientists are willing to confess they are skeptical of Darwinism’s ability to explain life on earth as we know it [see link below]. These argue that evolutionary explanations are simplistic and full of holes. Some point out problems in the favorite sequences of transitional forms, or argue that the human tree looks more like a bush without any true common stem. Some of the famous Intelligent Design theorists argue that natural selection, acting on small mutations, is vastly insufficient to explain the brilliance of even the “simplest” of life’s structures. At that point, as the weedy scientific material gets hacked through, the dirt under the scientists’ feet begins to show. And what is that dirt, that ground, that foundation? It all gets down to the nitty gritty of a scientist’s philosophy about how science should be done. That right there is the blessing and curse of this whole debate. Now, it’s correct that scientists use the natural world to explain the natural world. After all, the only thing we can scientifically test and weigh and directly observe is the physical world around us. It is also the job of science to strive to explain things as much as possible through testable natural mechanisms. Yet, according to this specific philosophy on the way science should be done, God can’t be a part of the equation. Ever. Scientists have to proceed under the assumption that God is not, and that frankly limits modern science. Let’s have a little “what if.” What if God really does exist? What if He really is the cause of things? How would modern science be able to detect Him, even indirectly? According to John Rennie, it can’t. In other words, evolution in some form or another has to be the scientific explanation for the incredible brilliance of life. Some evolutionists acknowledge that life looks engineered, but will insist that intelligent design is simply an illusion. They believe the history of earth’s life has to be one of microbes-to-man evolution because that is the only explanation that modern scientific philosophy allows. Over the next few weeks, we want to look more closely at some of the basic arguments in the intelligent design/evolution debate and examine them, including their underlying assumptions, as carefully and honestly as we can.